Choong Kwai Fatt, PhD, is an acknowledged tax authority and a leading tax specialist in Malaysia, having competently provided tax consultancy services to listed companies, audit firms, legal firms and the Malaysian government for 28 years. He is one of the eight panel members appointed by the Malaysian Ministry of Finance to review tax reforms in the country, including the goods and services tax (GST). His research works have been quoted in many tax cases and have influenced the formulation of tax policies in Malaysia. Dr Choong is currently practising as an advocate and solicitor at Kwai Fatt & Associates. He holds a Bachelor degree in law (honours) from the University of London; a Master degree in Comparative Law and a Doctorate (PhD) in Taxation Law both from the International Islamic University of Malaysia. He also has a Bachelor degree of Accounting (honours) from the University of Malaya. In 2014, Dr Choong retired as an associate professor from the University of Malaya after having served there as an academic and tax consultant for 19 years. 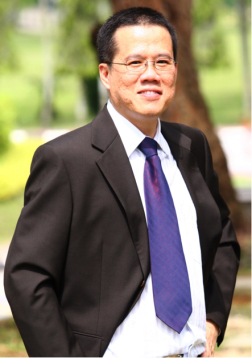 Dr Choong has published books on Malaysian taxation, Goods & Services Tax (GST) and company law. He is the author of the leading taxation books: Advanced Malaysia Taxation: Principles and Practice (19th Ed, 2018) and Malaysian Taxation: Principles and Practice (24th Ed, 2018). These books are used as reference textbooks in universities and professional accounting examinations, and are regarded as the practitioners’ text in the accounting profession. Besides that, his research has been quoted in many tax cases before the High Courts and by the Special Commissioners of Income Tax. Dr Choong’s initial training was in audit and tax, having been a tax consultant with Pricewaterhouse Tax Services Sdn Bhd (now known as PricewaterhouseCoopers Tax Services Sdn Bhd), an international accounting firm. His interest in tax led to his study and practice of law. His knowledge, experience and skills in taxation and tax laws are very much sought after by the accounting profession, listed companies and legal firms. Dr Choong is a member of the Malaysian Bar, a fellow member of the Association of Chartered Certified Accountants (ACCA), a member of the Institute of Chartered Accountants in England and Wales (ICAEW), a member of the Chartered Accountants Australia and New Zealand (CAANZ), a member of Certified Practising Accountants of Australia (CPA, Aust), a member of the Malaysian Institute of Certified Public Accountants (MICPA), a member of Malaysian Institute of Accountants (MIA), a member of the Chartered Professional Accountants of Canada (CPA, CGA), a member of Chartered Institute of Public Finance and Accountancy (CIPFA) and a fellow member of the Malaysian Association of Company Secretaries (MACS). Being conversant in both accounting and law, Dr Choong is well qualified to provide good advice regarding income tax legislations, their applications and interpretations, and the proper maintenance of accounts and documentation by companies to reflect commercial substance. He specialises in GST, tax audit, tax appeal, tax planning and tax restructuring in relation to transfer pricing, tax investigation, penalties, tax evasion and anti-money laundering matters. He can be contacted at kwaifatt.taxguru@gmail.com.